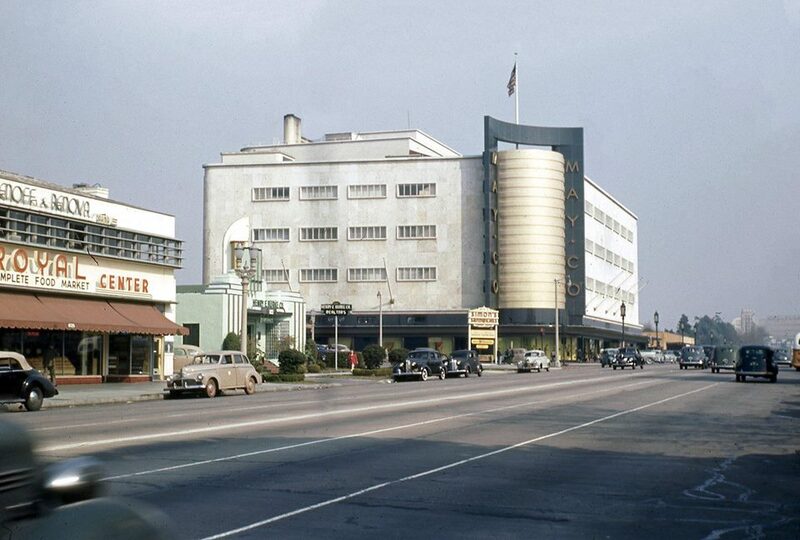 Wondering what is going on at the corner Wilshire and Fairfax in Los Angeles? 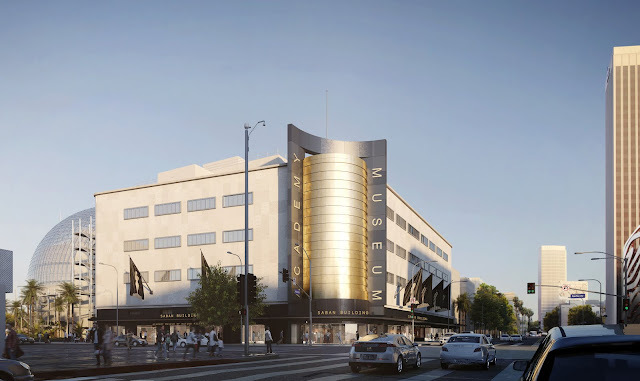 Well, it's The Academy Museum of Motion Pictures' new museum opening in 2019. 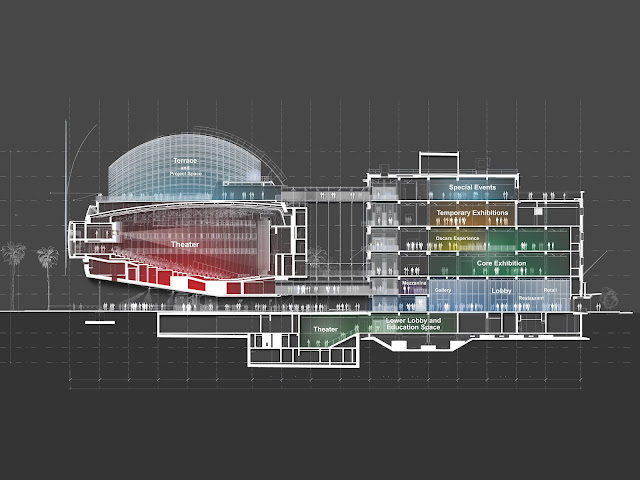 The Academy Museum will be the world’s premier institution dedicated to the art and science of movies and moviemaking. 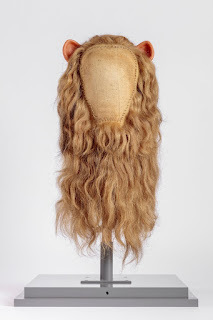 The premise of the museum is to "go inside the movies" with three essential goals: to convey the power of movies, to give viewers a look behind the scenes into how movies are made, and to explore movies' impact on culture and our lives. 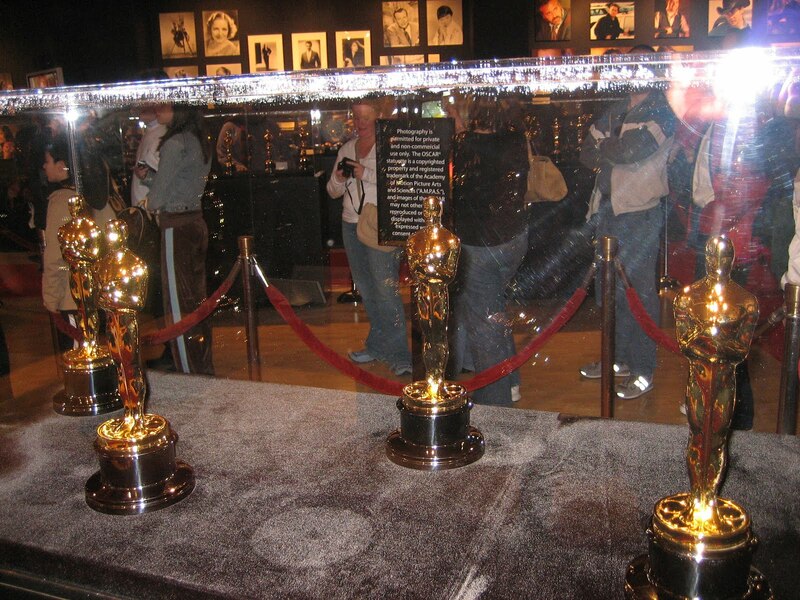 You do know that the Academy of Motion Picture Arts & Sciences runs the Oscars, right? 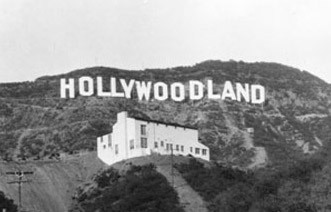 That's why it's called "The Academy Awards." The Academy Museum is taking over the space that once housed the famous May Company, where the movie stars of yesteryear went shopping. 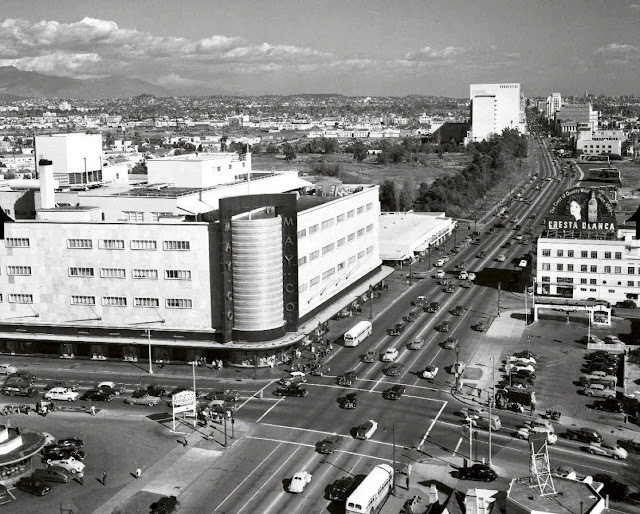 The May Company building, built in 1939 was once the finest department store on the Miracle Mile and is still celebrated as a perfect example of Streamline Moderne architecture. Now it's called The Saban Building, and will feature six stories of dynamic spaces, including more than 50,000 square feet of exhibition galleries, a state-of-the-art education studio, the 288-seat Ted Mann Theater, a restaurant and café, a store, and dynamic public and special event spaces. 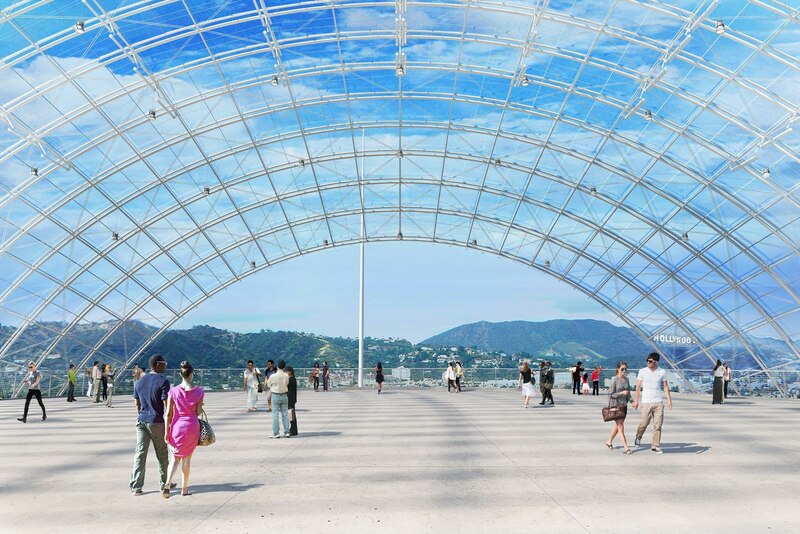 There is also an addition...a glass-covered sphear that will house the David Geffen theater and The Dolby Family Terrace, a place where visitors can see spectacular views of the Hollywood Hills. 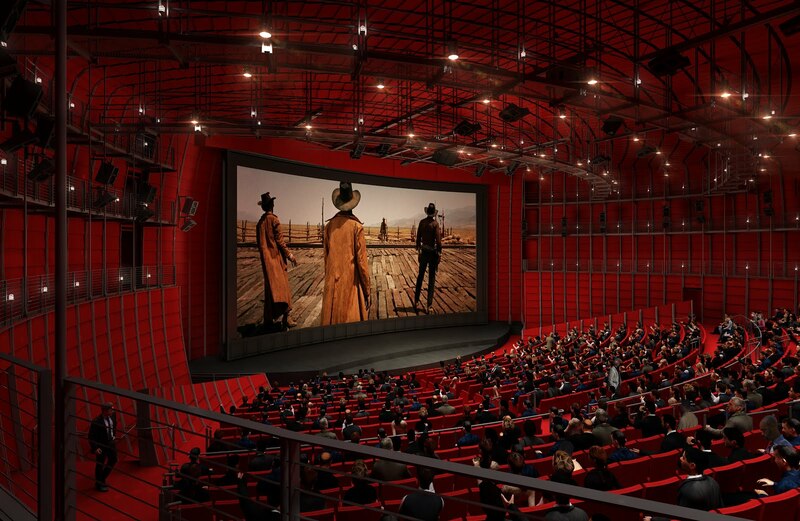 The state-of-the-art 1,000-seat David Geffen Theater will host a range of performances, screenings, premieres, and events with the world’s leading filmmakers. Of course, there are exhibit rooms and special event spaces as well. 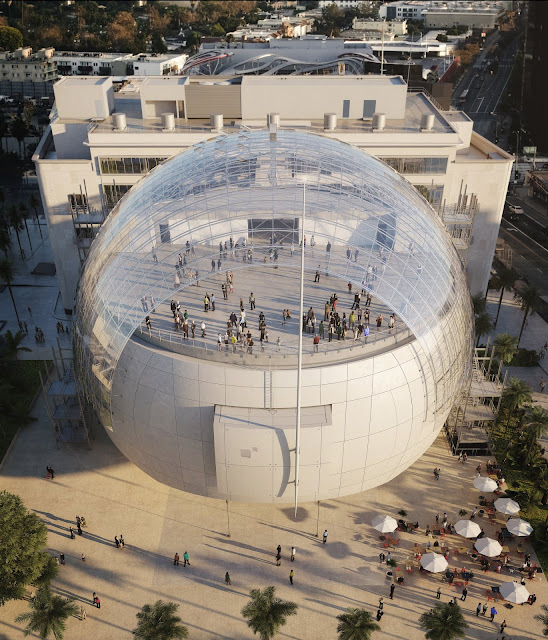 The Academy Museum will draw from the unparalleled collection of the Academy of Motion Picture Arts and Sciences. Highlights include the ruby slippers by Adrian from The Wizard of Oz (1939); the doors to Rick’s Café Américain from Casablanca (1942); a collection of objects from Shirley Temple,; the original production-used Steadicam created by Garrett Brown; and the only surviving full-sized shark model from the original mold used on Jaws (1975). The permanent exhibition, planned for the second and third floors of the museum will trace the evolution of moviemaking with sets, large-scale moving images, costumes, props, sound installations, and dramatic immersive environments. 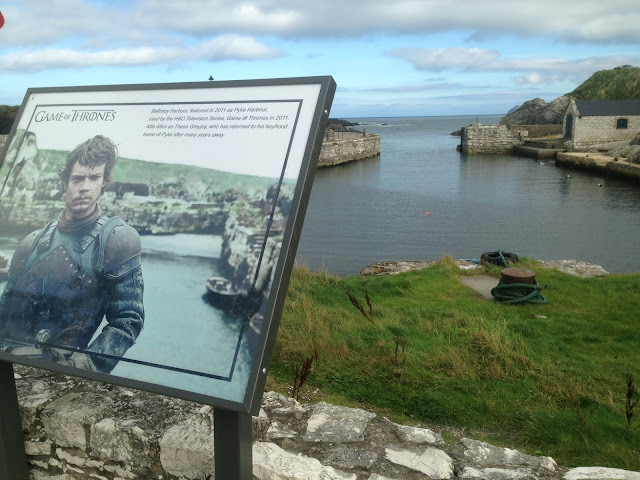 This journey will evoke the power and emotion of film as visitors move through time. The third floor will be the Oscars experience. 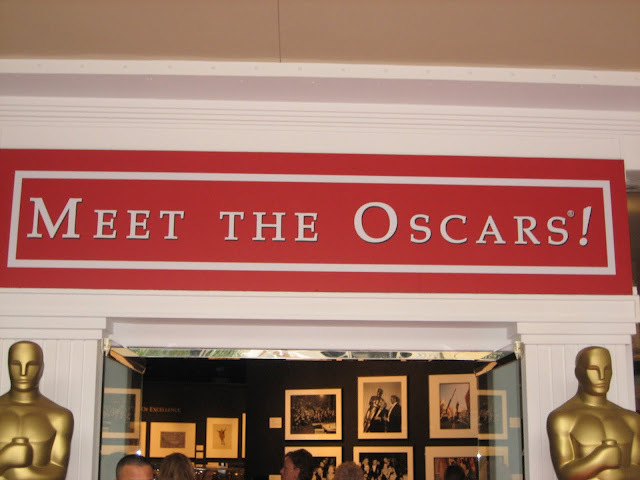 Using innovative technology, The Oscar Experience will place visitors on Hollywood’s most prestigious red carpet and stage and give them the rare chance to hold a real Oscar as they accept their award. 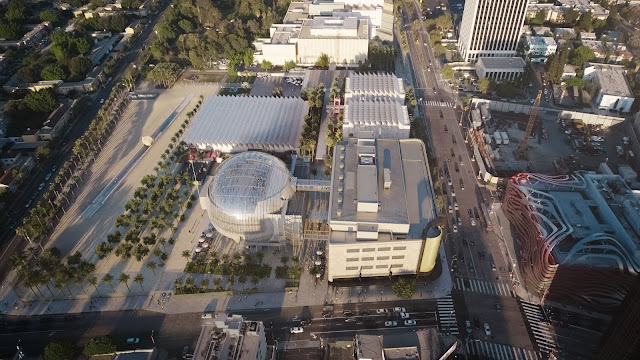 The Academy Museum is going to be a major addition to the Los Angeles community and we can't wait, and it is so nice that it is housed in an iconic LA building, returned to her formal glory. The Academy Museum, we ❤️ya.